How to calculate the dimensions of your valve? What are the main types of valves? When should you use a butterfly valve? 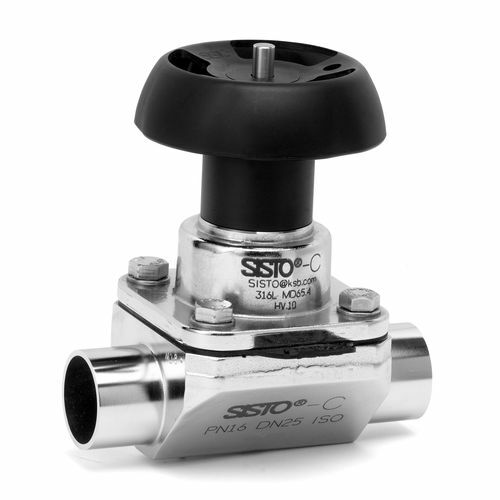 When should you use a ball valve? When should you use a globe or piston valve? When should you use a needle valve? When should you use a diaphragm valve? When should you use a knife gate valve? How to avoid water hammer? 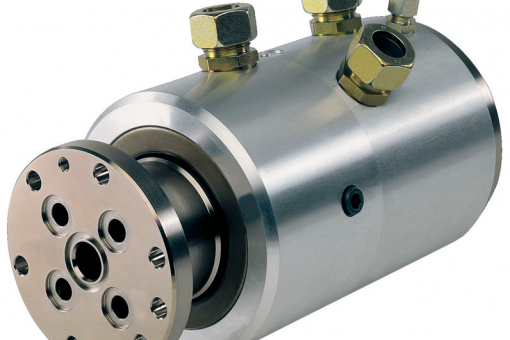 What is a multi-channel valve? Valves are mechanical devices that control the flow and pressure of a fluid in a hydraulic or air system. They are essential components of pipe systems that transport liquids, gases, vapors, sludge, etc. There are many different types of valves are available, each one has different characteristics, capacity and uses. 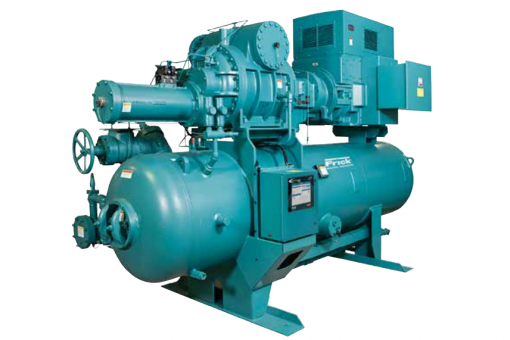 There are different operation methods available: manual, pneumatic, electric, etc. Before selecting your valve, you will need to determine what it will be used for. Will it be used to regulate a fluid or stop its flow? It is then necessary to verify the type of media that will circulate in the system: is it a gas or a liquid? Is the media corrosive, chemically neutral, a food product or a medical fluid that requires special hygiene conditions? When it comes to the operation system of the valve it is important to know whether it is powered manually or automatically. In one case, someone must be on-site to operate the valve, while in the other case the valve can be operated remotely, from a control station for example. Finally, it is important to know how the valve will be integrated into the system and the type of assembly or installation used, especially if it needs to be welded, bolted through flanges or screwed in. Once you have determined these different elements, you can focus on the technical characteristics of your installation, in particular the flow and pressure that will allow you to determine the dimensions of your valve. In order to calculate the dimensions of a valve, you will need to know the parameters related to the operation of the circuit. The pressure is an essential factor to take into account, on one hand so as not to undersize your valve and expose you to problems of leakage or rupture of the valve, and on the other hand to avoid oversizing it. You must identify the operating temperature, i.e. the temperature of the circulating media, as well as the ambient temperature around the valve body. It is important to know the extreme temperatures the valve will have to undergo in order to be able to choose a valve designed to operate under these conditions, in particular with regard to the materials used for the manufacture of the body, the closure system and the sealing parts. The operating pressure, i.e. the pressure the media circulates at in the valve. The fluid flow rate and the flow velocity. Flow rate and nominal speed are essential elements that will help you choose the appropriate valve, especially if it is to be used to regulate this flow rate. The flow factor (Kv) is a theoretical value defined by the manufacturer that allows the nominal flow rate of the valve to be calculated. 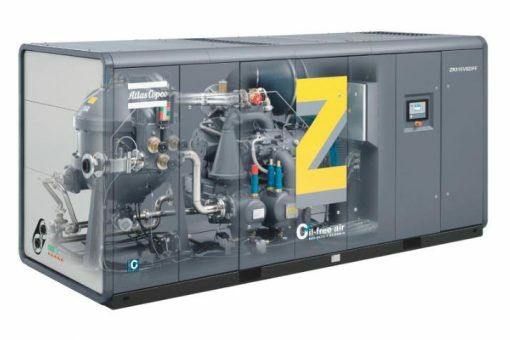 It can be indicated in liters per minute (l/min) or in cubic meters per hour (m3/h). Valve manufacturers offer charts to determine this factor based on the desired flow rate and nominal diameter. The nominal diameter (DN) of the circuit where the valve is. This is vital to avoid oversizing the valve, which could lead to unstable operation of the installation, or undersizing it which could lead to a significant pressure drop and rapid damage to the valve. There are different types of valves that will be more or less adapted to your needs. If you want to stop the circulation of a fluid, we suggest you choose a shut-off valve like a ball valve, a knife gate valve or a gate valve. If you want to control the flow rate of a fluid, it would be better to choose a control valve like a needle valve, a globe valve, a piston valve or a butterfly valve, which all provide good throttling. The choice of a valve also depends on the flow rate, pressure and type of fluid transported because this will determine the materials the valve is made of. Butterfly valves are mainly used to control a fluid’s flow rate. Depending on what material the valve is made of, it can be used for different types of fluids: chemically neutral fluids such as water or oil, sludge, food products or pharmaceutical fluids and some butterfly valves can be specially designed to operate with corrosive fluids. A butterfly valve cannot be used for fluids containing solid particles however as they could prevent it from closing completely. The butterfly valve is a quarter-turn valve. It requires a 90° rotation between the open and closed position to operate. For large diameters, it may require an actuating system equipped with a gearbox that compensates for the pressure exerted directly on the valve. 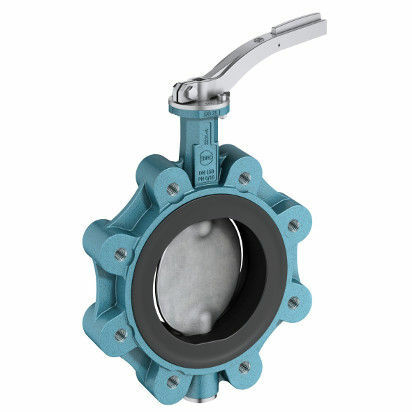 Butterfly valves are designed to ensure a good sealing system. Large diameter butterfly valves often use flange mounting, and those intended for heating circuits, for example, are generally screw-in valves. 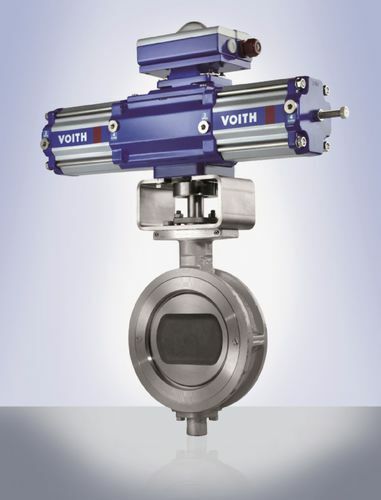 Butterfly valves usually have a minimal space requirement, especially compared to ball valves. Ball valves are used to stop a fluid from circulating. The ball valve is in the form of a sphere with a hole drilled in it, generally of the same diameter as the pipe. It is a quarter turn valve that has the advantage of not obstructing the flow of fluid in the open position. When the hole in the ball has the same diameter as the pipe, it is called a “full flow” valve. In the closed position this type of valve provides a good sealing system. This valve is used for both liquids (water, oil,…) and gases. Some ball valves are also equipped with a conical plug. Ball valves also come as 3-way or 4-way valves. In this case they are also known as sector valves. 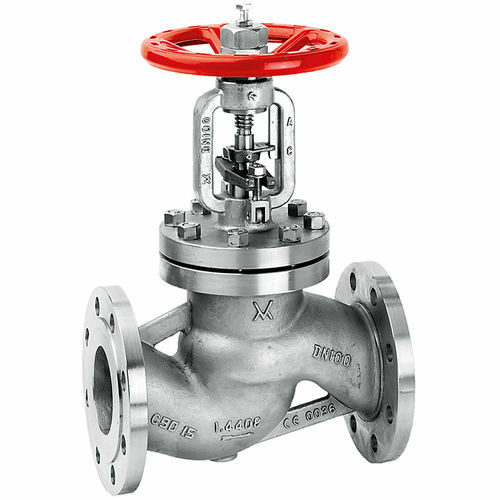 Globe valves and piston valves operate on the same principle. A rod, with a saucer-shaped part or piston at the end, descends into the valve to block the flow of fluid. These valves are particularly suitable for regulating a fluid according to the pressure in the pipe. Many globe valve actuators contain a setting spring that allows the valve opening to be adjusted according to pressure. The main disadvantage of this type of valve is the significant head loss. Additionally, when the fluid pressure is too high, it is difficult to operate this valve in closed position. They can also close very quickly which can lead to water hammer. 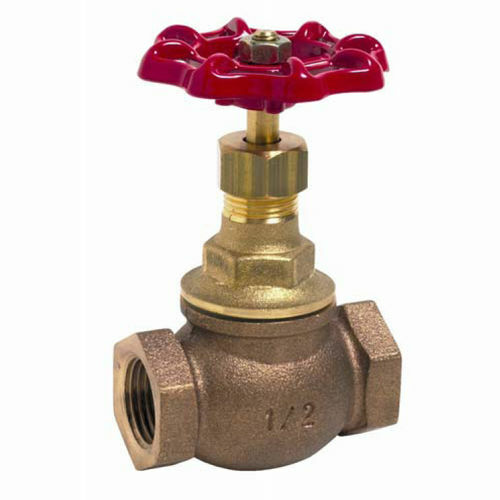 These valves are also available as 3-way valves. Needle valves are used in particular for the regulation of low-flow liquids or gases. These are small diameter valves designed for low pressure applications. They are generally manually operated. 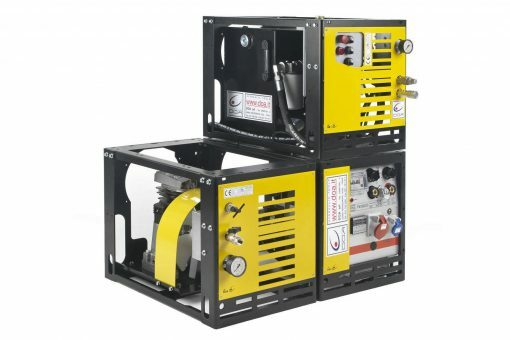 They are very often found in domestic applications and fluid sampling operations. They are inexpensive which explains why they are so popular. Diaphragm valves are mainly used in hygienic and aseptic processes, i.e. when the circulating fluid must be isolated from any potential contamination. These valves operate primarily in open/closed mode, although in some cases they can be used for fluid regulation. In the open position, these valves are called “full flow” and create almost no pressure drops as the closing diaphragm completely clears the fluid flow. The sealing tightness of these valves is excellent because there is no direct contact between the fluid and the stem, but they require regular maintenance to ensure that the diaphragm is in good condition, especially if the fluid is loaded with solid particles. It is important to check that the membrane material is well adapted to the operating temperature and pressure conditions to avoid premature wear. Diaphragm valves are mainly used in the food and pharmaceutical industries. They are also frequently used in the chemical industry and in ultra-pure applications, depending on the materials they are made of, particularly the membrane. They are also suitable for sludge and highly viscous liquids. This type of valve is not available for circuits with wide diameters: generally, they are not manufactured wider than DN350. 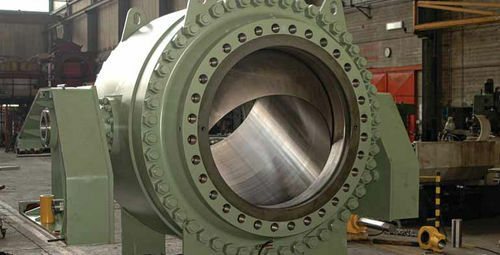 Knife gate valves are commonly used in mining, power plants and the paper, chemical and food industries. They have the advantage of being very compact due to the linear movement of the shut-off damper (plate that blocks the flow of fluid in the closed position). 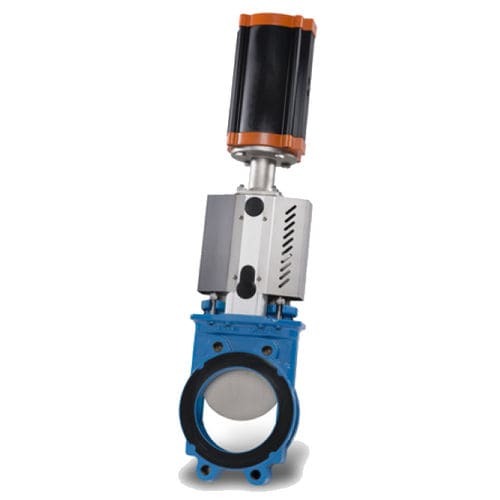 The knife gate valve is mainly a shut-off valve, although it can be used as a control valve when the shutter is placed in the partially open position. Knife gate valves can be used for fluids loaded with solid particles such as waste water or sludge. 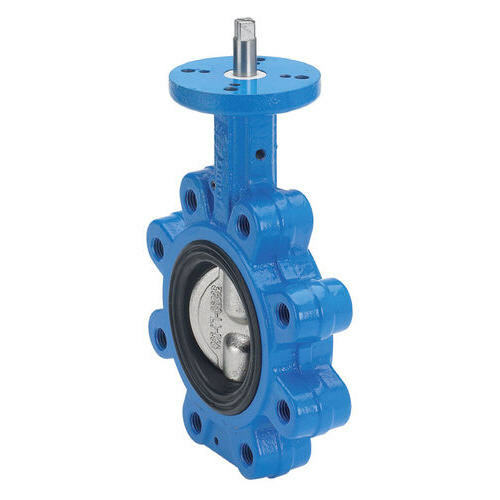 As a general rule, the knife gate valve is designed to be sealed on the upstream side of the circuit (on the fluid inlet side), but some valves are sealed on both sides, allowing them to be used regardless of the direction of fluid flow. In the open position, the head loss is very low because the valve does not cause a change in the fluid direction. The closing and opening time can be very long however, and you should consider regular maintenance to correct wear problems between the shutter and sealing elements. Water hammer is excessive pressure of the fluid, often occurring after a valve is closed quickly. It makes a distinctive noise you can hear in the pipes. This excessive pressure can create significant damage, which can go as far as causing the circuit to rupture. install a pressure regulator before the valve to control the pressure. 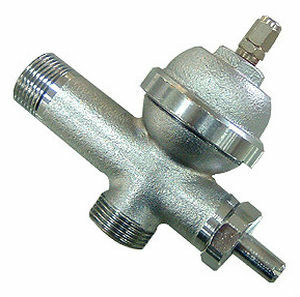 install a water hammer arrestor before the valve: a water hammer arrestor is a kind of expansion tank that is designed to reduce a shock wave and absorb excessive pressure. increase the diameter of the circuit before the valve to decrease the pressure for this part of the circuit. Multi-channel valves are valves that have more than one inlet and/or outlet. The most common are 3-way valves and generally they are ball valves. These valves are generally used to regulate fluid flow in an installation between two different circuits. They can also be used to mix 2 fluids. There are also 4-way, 5-way and 6-way valves. Valves with more channels than this are very rare.